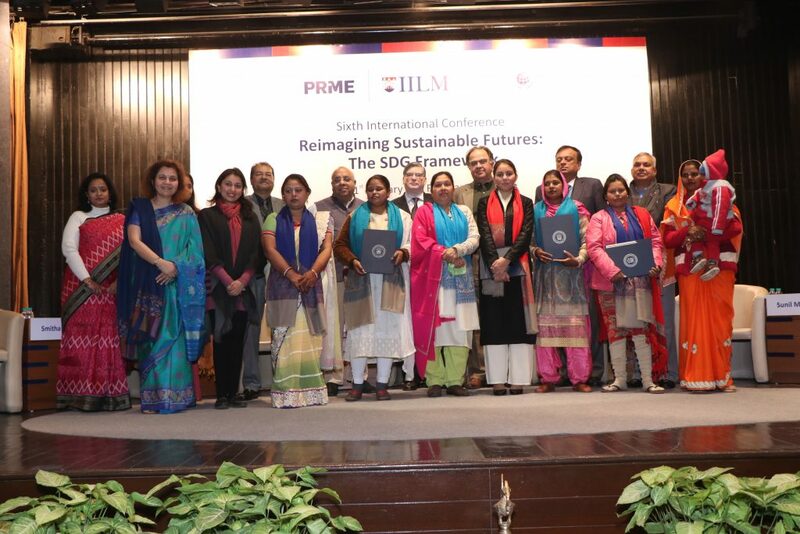 IILM Institute for Higher Education, a leading Indian B-School committed to the Principles of Responsible Management Education (PRME) as envisaged by UN Global Compact, organized the 6th International Conference on ‘Reimagining Sustainable Futures – The SDG Framework’ from January 31 – February 2, 2019 at its campus in Lodhi Road Campus, New Delhi. The Sustainable Development Goals (SDGs), a collection of 17 global goals set by the United Nations General Assembly in 2015, are the cornerstone on which this conference has been envisaged. The Conference began with the inaugural session on ‘Ideas Driven Economy’ with Dr. Bhaskar Chatterjee, widely acclaimed as the Father of Corporate Social Responsibility (CSR) in India, giving an overview of the theme where he said, “IILM, in its capacity and reach, mobilizes its network and resources to bring together other signatory business schools, thought leaders, policy makers, researchers, pioneers in the field, industry experts and most importantly, engages with the next generation of business leaders through the platform of its International Conference to proactively analyse, debate the roadmap for future, supporting the advancement of the Sustainable Development Goals.” Mr. Pavan Bagai, President and COO, EXL Service, the Key Note Speaker of the session, connected sustainability with the Principles of Marketing and said, “Sustainability is change, constant change, because nothing stays static and even the status quo deteriorates without action.” Another eminent speaker, Mr. Begur Ramachandra Rao, Senior Education Specialist, UNICEF India, spoke about Sustainability and inclusiveness and how Education can be used to reach the SDG goals. The first day of the Conference also saw the launch of the book ‘Reimagining Sustainable Futures – The SDG Agenda’, edited by Dr. Bhaskar Chatterjee, former Director General IICA and Member Board of Governors IILM and Dr. Bidisha Banerji that was followed by an interesting panel discussion by the contributing authors of the book. The second day of the Conference had four sessions around the main theme of the Conference, each session with eminent panellists from different industries and arenas discussing issues facing India and their solutions. Saurabh Shresth from Unilever made an important point when he said, “Doing well while doing good is the motto we follow at Unilever to make the world a better place.” Abhinav Akhilesh from KPMG pointed out that the success of the Swachh Bharat campaign is that the entire country is talking about it which has propelled Corporates and Business Houses to pay attention the issue. The sessions on Exploring Renewable Energy; Future Technologies and Ethical Decision Making raised several valid points and gave the audience many points to ponder about. The concluding session of the Conference was a significant one called ‘Entrepreneurship Against All Odds – Recognising Unsung Women Achievers’. In a path breaking initiative by IILM to recognise and showcase the achievements of women entrepreneurs from different states, cultures, and socio-economic strata who have succeeded against all odds, 50 women were identified from rural areas who became entrepreneurs despite adverse circumstances. 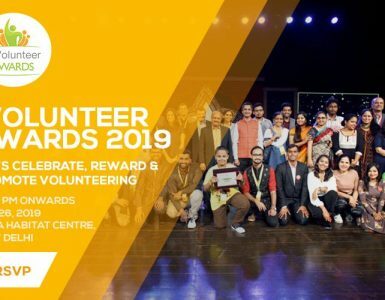 IILM recognised seven of these women of indomitable spirit and enterprise who were able to scale up their business to newer heights and work beyond themselves to create social impact. Mrs Malvika Rai, Chairperson IILM, and Mr Dilip Chenoy, Secretary General FICCI, honoured the ladies. Mr Dilip Chenoy spoke about how India needs to improve women participation in the industry and workforce. He said about the awarded women entrepreneurs, “These women are like fireflies that can light up the sky when they all work together and they can do it in a sustainable manner.” Mr Anurag Batra, Chairman and Editor-in-Chief of BusinessWorld, said, “We tend to mostly recognise urban women and this initiative to recognise women at the grass root level is really good.” Other luminaries on the dais which included Sunil Marwah, CEO, Food Industry Capacity Building & Skill Initiative; Krishan Dhawan, CEO Shakti Sustainable Energy Foundation, Mr. Kamal Singh, Executive Director, Global Compact Network India and Dr. Bhaskar Chatterjee wished the women awardees well and expressed their pride in being part of the event. IILM expressed its commitment to identifying and recognising such women entrepreneurs every year. The end of the Conference was followed by the Annual Alumni Meet where few Alumni who have made a mark in their careers were felicitated. The Alumni interacted with each other and with the faculty over lunch. At the Annual Meeting of FICCI Ladies Organization in 2013 Mrs Malvika Rai, Chairperson IILM, in her capacity as FLO President was inspired to showcase the success achieved by many unsung women entrepreneurs from different states, cultures, and socio-economic strata who have achieved success against all odds. 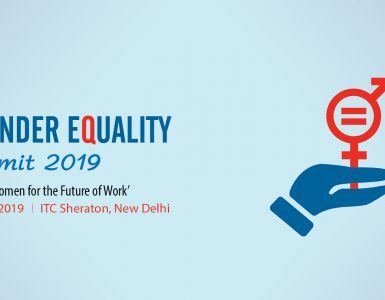 The objective of showcasing the achievements is twofold – the first is that these women would act as an inspiration, as role models for others form similar backgrounds and the second is to provide a platform for these women achievers to help build their business through various avenues such as access to banking facilities or venture capital and to new markets for their goods and services. 1. Ms. Chetna Mehrotra from Malihabad Uttar Pradesh, who began her business in 2017 makes pickles without oil and preservatives. Appropriately called Achari, she began her venture equipped with her mother’s recipes and her family’s support and was surprised to find huge appreciation received for her product when it was first launched. Now she has successfully made Achari into a brand with 40 people working for her in pickle making and her daughter helping her with marketing and her son with production. She is truly and inspiration for women who want to start their own enterprise. 2. Ms. Padmavati: This is the story of Padmavati from Hissar, Haryana who now lives in Hyderabad. She began her business of stitching curtains and bedsheets in 2008 when she was looking for means ofr economic survival. Now she has 50 women working under her across Hyderabad and her business is registered under GST. While she still faces many challenges, she continues working hard to ensure that her employees continue getting work and become economically independent. 3. Ms. Marjeena: This story began in the slums of Lucknow when Marjeena began her chikankari, embroidery and stitching work 14 years ago. Initially, the purpose of the business was her own economic need but now with 70 women working under her whom she has trained to complete orders she gets from boutiques, she believes in providing livelihood to needy women and making them economically independent. 4. Ms Simran Kaur is a well-educated lady from Barabanki district of UP who entered the farming business 10 years ago with her father. Producing sugarcane, bananas, guavas and mangoes using organic manure, she also aims to produce fruit at lower cost by using solar power instead of electricity. She advertises her product by conducting Kisan Unions and Kisan Goshtis. With 25 women farmers working for her currently she aims to provide more employment to women farmers and boost farmer rights. 5. Ms. Sushila, Ms. Sushma and Ms. Tara: This is a story of three women Sushma, Tara and Sushila of Abhyapur village near Gurugram who collaborated to create a Doll making business by overcoming several challenges. Initially, they began by supplying dolls to shopkeepers who provided them the raw materials but their hard work and skill was noticed by a non-profit organization Navjyoti that helped them expand their market to wider audiences and now they have clients in not just in India but also overseas in countries such as Australia. These stories of grit, determination and innovation are so inspirational not just for women but also for each one of us.